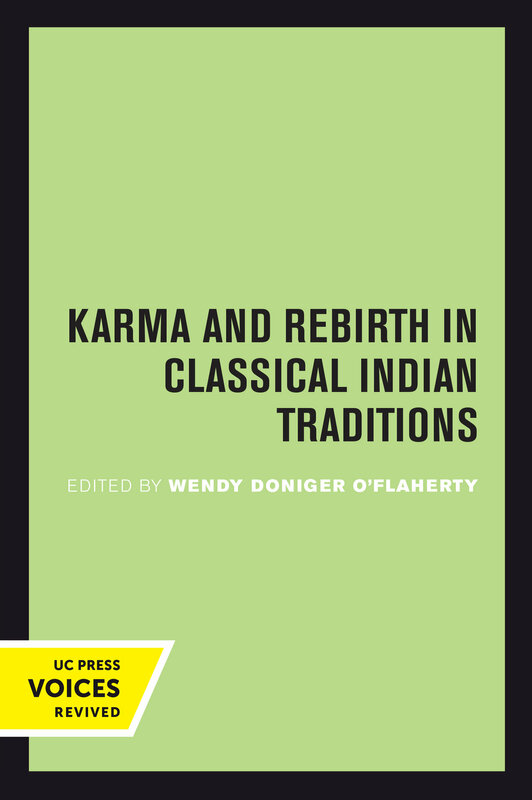 Karma is perhaps the most famous concept in Indian philosophy, but this is the first comprehensive study of its various meanings and philosophical implications. Karma and Rebirth in Classical Indian Traditions offers a harmony of approach and an underlying set of methodological assumptions: a corpus of definitions of karma, a dialectic between abstract theory and historical explanation, and an awareness of logical oppositions in theories of karma. No “solution” to the paradox of karma is offered, but the volume as a whole presents a consistent and encompassing approach to the many different, often conflicting, Indian statements of the problem. Broad in scope and richly detailed, this book demonstrates the impossibility of speaking of “the theory of karma” and supplies the basis for further study. Exploring methodological issues arising in the study of a non-Western system of soteriology and rebirth, the contributors question the interaction of medical and philosophical models of the human body, the incorporation of philosophical theories into practical religions with which they are logically incompatible, and the problem of historical reconstruction of a complex theory of human life. This title is part of UC Press’s Voices Revived program, which commemorates University of California Press’s mission to seek out and cultivate the brightest minds and give them voice, reach, and impact. Drawing on a backlist dating to 1893, Voices Revived makes high-quality, peer-reviewed scholarship accessible once again using print-on-demand technology. This title was originally published in 1980. Wendy Doniger O'Flaherty is the Mircea Eliade Distinguished Service Professor of the History of Religions at the University of Chicago and the author of numerous studies of Indian religion and related subjects.